We’ve been very excited to collaborate with the owner of Band X on several projects, and this one was a fun one to build! Band X offers superstar live karaoke experiences for corporate events. 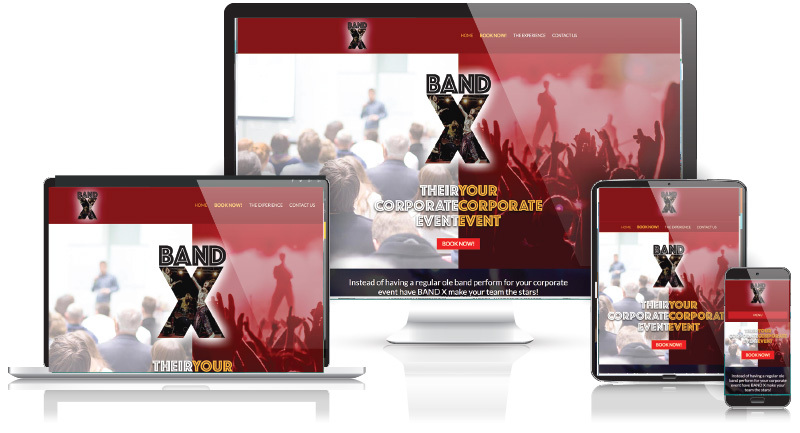 We worked with the Band X team to realize the vision of their service by improving on and then developing the website from initial mockups and brand boards. The result is a high energy, engaging website that’s small but simple… and does what it needs to do.